The RMS Queen Mary has been reported haunted ever since it was permanently docked in Long Beach, California on December 9th of 1968. The famously haunted ship sailed the Atlantic Ocean from the mid-30s to late-60s and has many reasons to be haunted. During war time, the vessel had many servicemen and POWs who died during transport while during its time as a passenger ship, 49 crew and passengers are known to have passed on. 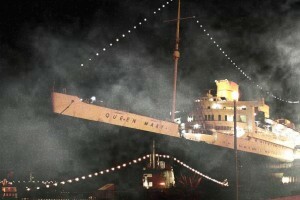 Shortly after the Queen Mary’s docking in Long Beach, the rumors of hauntings began. 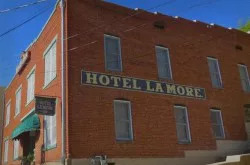 She would be listed in the top 10 most haunted places in America by Time in 2008. 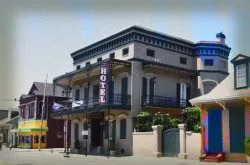 The ghost ship was opened as a hotel in 1971, where guests have reported many paranormal happenings. 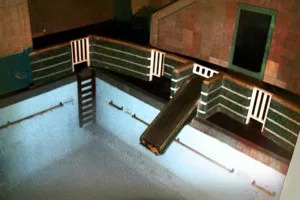 From lights going on and off by themselves, water turning on and off, guests are awakened to heavy knocking on their doors in the middle of the night yet find no one in sight. Laughter is attributed to the ghosts of young children who died in the ship’s pool and a “lady in white” is famous for walking the halls of B deck. 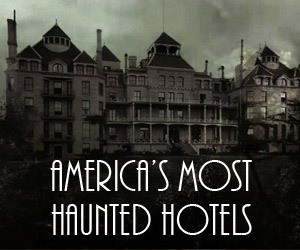 There are many rooms reported to be haunted. 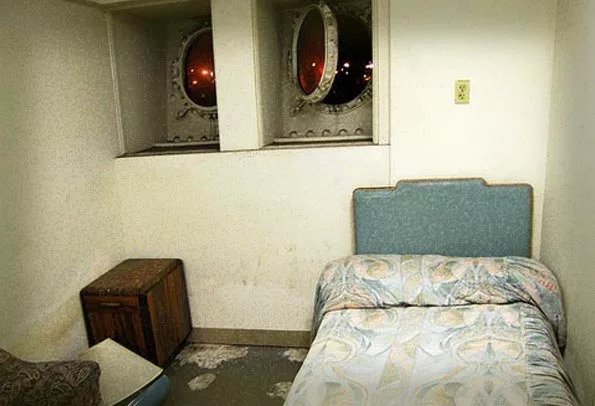 Cabin B340 is said to be the “most haunted” room on the ship where the ghost of a passenger who died in this room is said to have permanently extended his stay. That ghost is said to be of Walter J Adamson, a 3rd class passenger, and his cause of death was listed as unknown. There are various reports that suggest foul play may have been involved in Walter’s death. Cabin B340 is a must stop, although you cannot stay in this room. This is where a man was found dead is said to visit. Many of the Main deck, A, and B deck rooms have many mysterious happenings from items moving by themselves, guests awakening to the sense of being levitated, laughter, and many more. 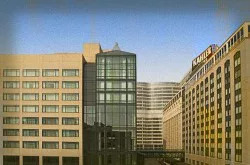 We suggest booking ahead to get a room in one of these areas. 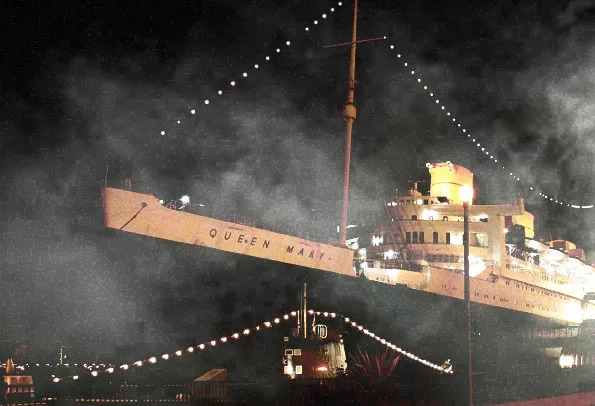 If staying in this haunted ship’s hotel isn’t enough, during Halloween, the Queen Mary hosts the Dark Harbor Haunted Attraction. It may be hard to determine what is and isn’t part of the attraction. 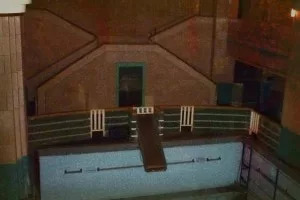 I’ve been to the Queen Mary with a friend of mine. We were on a ghost mission. 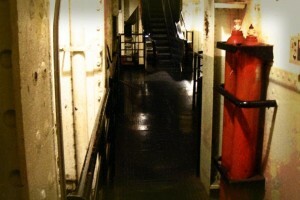 We walked all around the ship, looking for dark corners, or roped off areas where we might find something lurking. 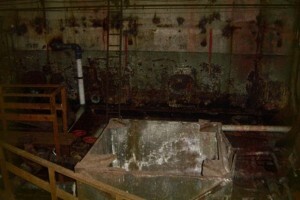 We made our way down to the bottom of the ship, where it looked like some kind of exhibit with roped off pictures. We noticed a long corridor back behind one of the pictures, and of course we jumped over the rope and headed down the corridor. When, suddenly a door flew open in my face and separated my friend and I. Naturally, I turned and ran as fast as I could back from where I came from. About a minute or two later my friend was slapping me across the face, yelling at me for trapping her in there… She said that I was pushing on the door that she was trapped behind, which I definitely was not. She apologized, and we knew for sure our supernatural search was a success. We got outta there much faster than we entered. I’ve been to the Queen Mary for Dark Harbor and I swear I had an encounter. My friends say that it was just the show, but I’m telling you I thought for sure I was seeing right through a real person down the hallway, but then all of a sudden they disappeared. 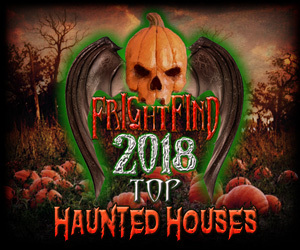 Dark Harbor is the halloween haunted house they do.